Similarly with the 2017 vintage, we have tried to make an uncomplicated dry style Rosé with some subtle complexities. We believe it again captures that uniquely summer feeling of being free and having fun. The 2018 Margaret River Rosé captures ‘summer livin’ down south’. This vintage we used a Shiraz Viognier blend to make our Rosé. We wanted to give this vintage a little more edge and build on lifting the aromatics and adding some extra oak treatment. DNA analysis shows a close relationship between Viognier and Shiraz. The unlikely partnership of a white grape and a red grape just works between these two varietals. The Viognier provides an aromatic kick, helps lighten the colour, and deepens the texture producing a wine with body and bursting with floral and fruit aromatics. In addition, this year, we barrel fermented and aged a portion on lees to add some richness to the texture and a savoury complexity. Similarly with the last vintage, we have tried to make an uncomplicated dry style Rosé with some subtle complexities. We believe it again captures that uniquely summer feeling of being free and having fun. 2018 was a solid vintage in Margaret River. The Shiraz fruit was again sourced from the sandy loam soils in Block J in Alexanders Vineyard in the Carbunup sub-region, and the Viognier fruit was sourced from the ironstone soils on the Miamup Vineyard in the Wilyabrup sub region. The fruit was harvested in the cool of the night in March at a slightly lower Baume to create a light pretty style with natural acidity. The grapes were crushed and destemmed and held on skins for approximately 6 hours until the ideal colour extraction had been achieved. It was then lightly pressed under inert conditions. The majority of the juice was inoculated with a complementary yeast strain to protect the aromatics, and fermented in a stainless-steel tank, whilst the remaining juice was transferred to a French oak barrel, wild fermented and matured on lees for four months. The barrel was then blended in to the stainless tank and lightly fined and filtered prior to bottling. In a glass the Rosé is a translucent pale shade of pink. The nose is fresh and bright, with scents of summer red fruits, with a slight hint of rose petal and Turkish delight hidden amongst the aromatics of the Viognier. The palate is rich with flavours of berries and cherries, balanced with delicate hints of rose water. The natural fruit sweetness of this wine is balanced by a lively mineral acidity, a dash of savoury spice, and some added length provided by the oak. 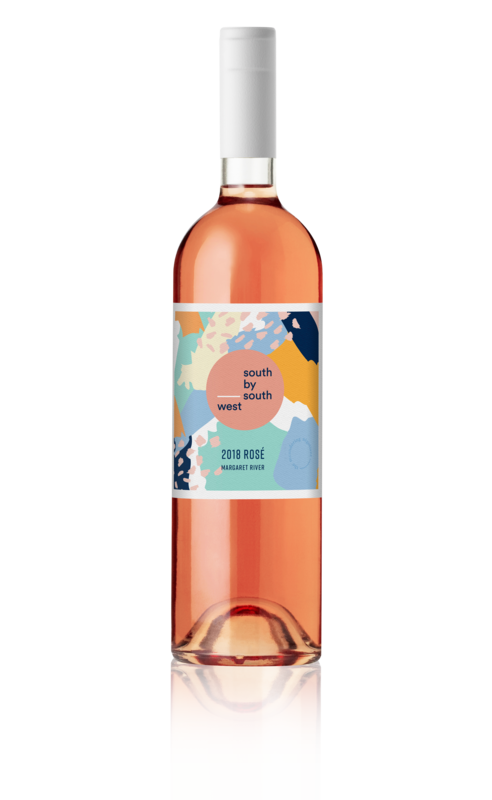 This is a well-balanced Rosé with great mouthfeel, clarity, and that little edge from the barrel ferment with a clean acid to finish. We aim for minimal intervention to let the fruit express itself, yet there are certain things we do need to maintain the quality and integrity of this wine. We’ve added minimal sulphites to stabilise the wine and ensure its shelf life. It has also been lightly fined to remove suspended solids and has been cold stabilised. We use these methods as opposed to using chemicals as it is extremely gentle in nature and does not strip flavour nor character from the wine, creating a final, high quality polish.